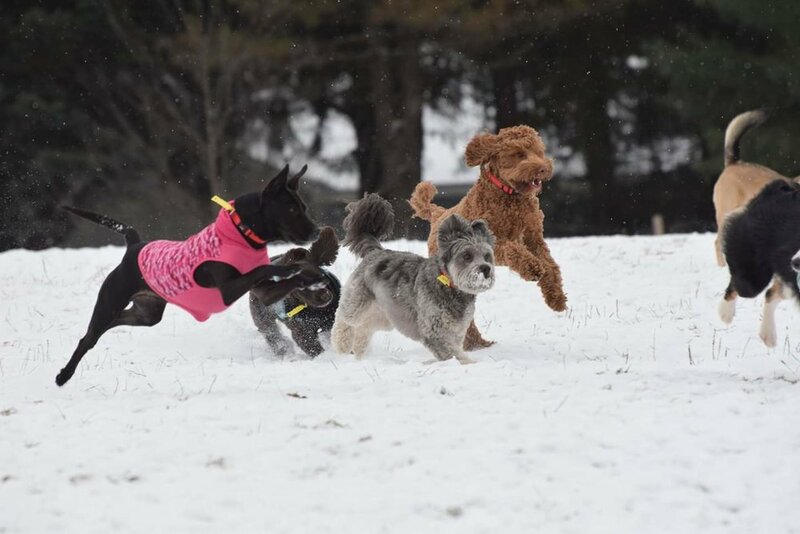 Has your pup had a good romp with their friends lately? Eva's Play Pups offers 56 acres of beautiful countryside, where everyday dogs of all ages and sizes come to romp and play with fellow pups and enjoy the great outdoors! We offer local daycare for those pups that just need to let out some steam, or Pick-up and Drop-off in NY and NJ for those city dogs that want a taste of camp life!